To paraphrase Charlie Chaplin, it’s either laugh or cry. As America races breathlessly to the finish line of an election that has swung from disheartening to exhilarating to downright nausea inducing, the troubled nation has reached to the soothing balm of comedy to ease its electoral fever. Late night and web comics have feasted off an embarrassment of comedy riches this cycle, with one candidate living up to his background in reality television, and the other tripping up on her own awkward secrecy, while attempting to become cool. Setting aside the most famous orange haircut since carrot top, which has its own universe of dank fuel for chuckles, let’s take a look at some of the best funny memes surrounding the first woman nominated by a major party to run for president. 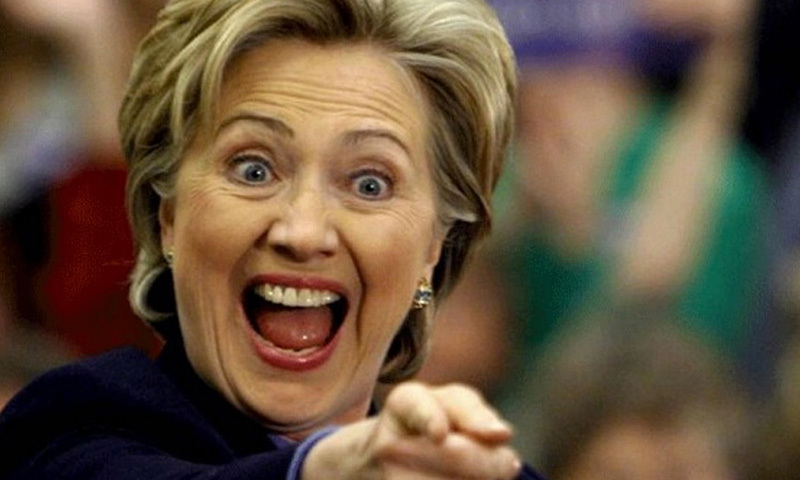 A fairly typical Hilary Clinton meme might consist of an unflattering, or borderline freakish, image of her face, combined with a blank slam of her or her supporters. The vast majority of the Hilary meme market is intensely negative, which is, perhaps, to be expected from the internet in a free country holding a spicy election contest. In a worse offense though, the attacks are often blunt and witless, lacking the nuance and slice of true satire. 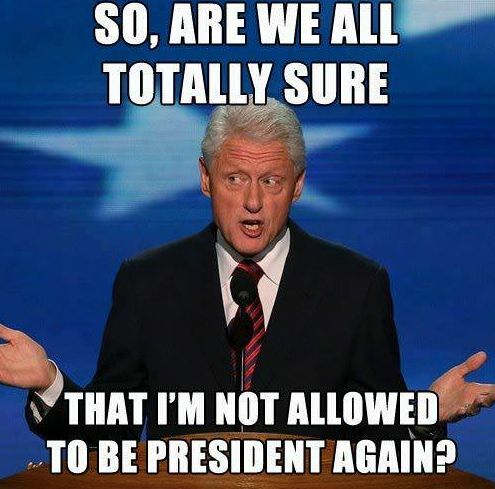 A Hilary Clinton meme that approaches genuine hilarity appears to be something of a rare bird. 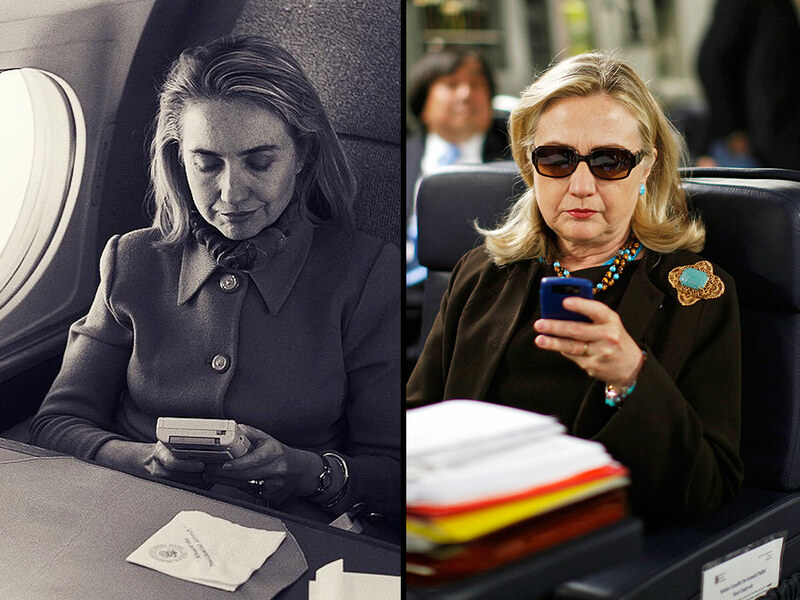 In an effort to address this market failing, we have curated a selection of the top thirteen respectable entries in the Hillary Clinton meme genre. They range from supportive to apoplectic, but share a unifying theme in that they are actually funny in some way, and they get to the heart of what we think about our candidate. Early in the campaign there was a side by side meme comparing Bernie Sanders to Clinton. This example from that subgenre speaks to our perception of Hillary as eerily controlled, much the way we saw Mitt Romney, or, for a brief, sputtery moment, Marco Rubio. Solid wordplay gets to the truth-bending soul-bond between Mr. and Mrs. Clinton that enrages opponents and makes even allies uncomfortable. In Clinton world, it’s always about triangulation. A sensible method to promote technocracy? 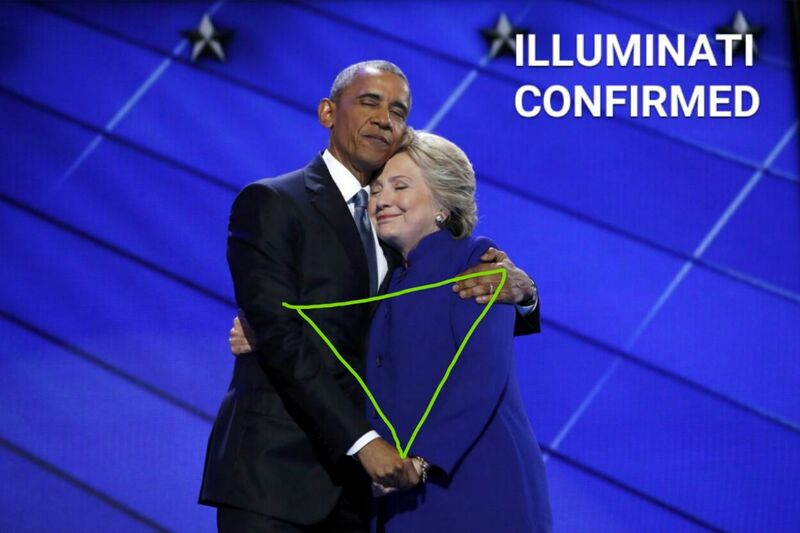 Or symbolic homage to the cult that rules the world?This meme pokes fun at the web of conspiracy theories surrounding Clinton and Obama, perhaps with an extra cheeky boost from the fact that Hillary herself once alluded to a vast conspiracy aligned against her. A wordless wonder, this girl’s face says it all.Can she trust this loudly laughing person with five hundred rocks on her necklace? Is this lady for real?The glance of a child summed up the skepticism of a nation. Is the recent rise of Daenerys and Cercei completely a coincidence? Nothing changes, nothing stays the same. Someday the Obama presidential library may display historic emoji chats. A great picture is a great picture. If you’re looking for a starting place for a meme of your own, consider this. 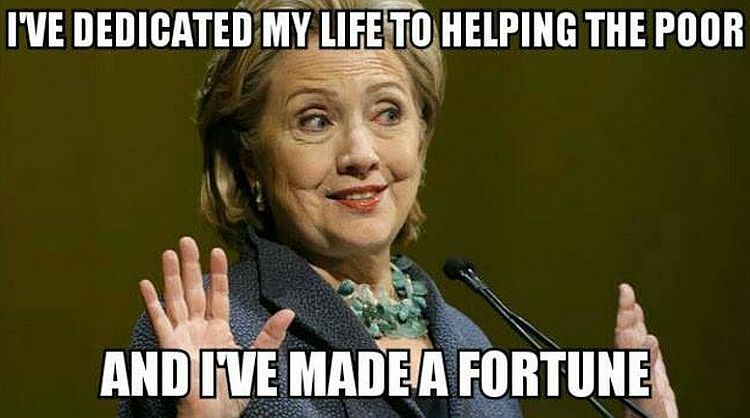 There’s no denying the Clinton foundation has saved and improved lives all over the world. Along the way, the Clintons have grown wealthy.This meme meet these ends neatly, with more awkward body language for comedic impact. 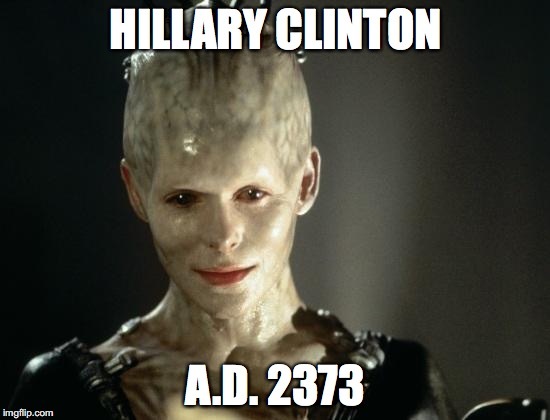 Playing to our hopes and fears of impending technological immortality, this meme asks the question: Could Hillary be the future of our race? Hillary’s mojo with millennials has been famously mild. The day the candidate danced the “Nay Nay” on Ellen, she earned this meme like a badge. This one wins.For the candidate who answered the question “Have you always told the truth?” with the words “I’ve always tried to,” this hits the nail on the head.Her gloriously uncomfortable posture, combined with her sharp, almost laser, eyes, sums up the Hillary experience: she may be effortlessly brilliant in many domains, but casual earnest immediacy is not among them.Perhaps it’s because she really is a sinister monster out to enslave humanity. Perhaps it’s the product of a lifetime in the public service spotlight, where every word is weighed and measured by millions.Entirely regardless, and quite aside from weighty questions concerning the future of Earth, Hillary has for thirty years been a focus of American conversation.The way things look right now, we might be laughing at her awkwardness, pondering her agenda, and, as we do with every public figure, seeing parts of ourselves in her persona for years yet to come.